The TCT recently completed its third used-car tyre clean-up event, at Forcett, near Sorell in south-east Tasmania. We collected, cleaned and sent for recycling 830 tyres. 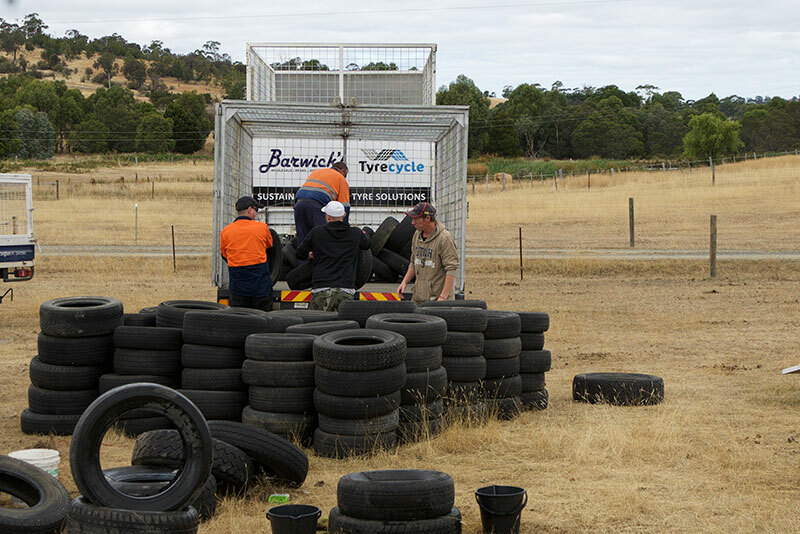 The local company Barwicks collected the tyres and shredded them at Brighton. They will be sent to Melbourne to be recycled by Tyrecycle. 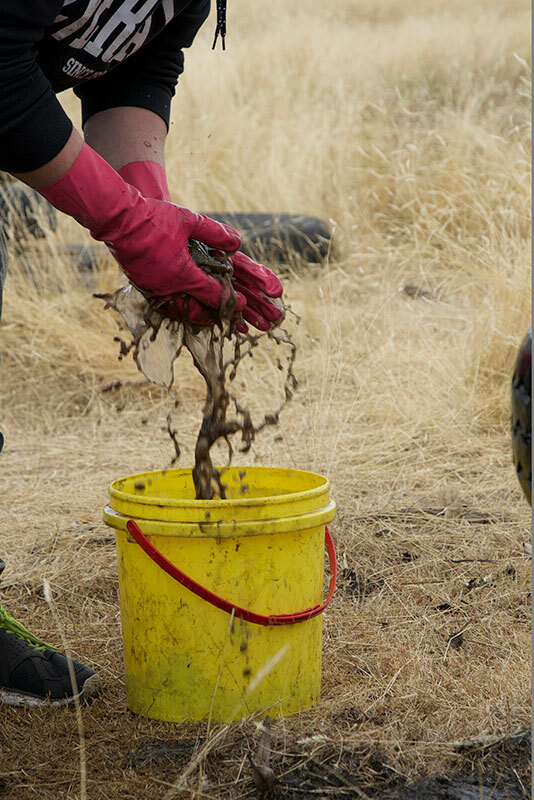 This was our most difficult cleanup event so far. 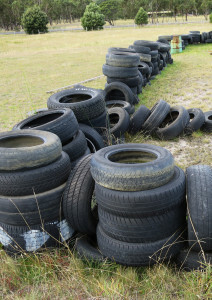 The tyres had been used for years by the owner as a fence around a horse-training arena. 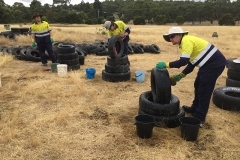 Consequently, the tyres had collected dirt, weed seeds, spiders and other invertebrates. 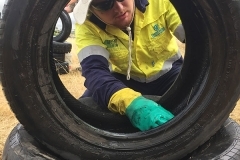 These are a biosecurity risk and have to be removed before we send the tyres to Melbourne. 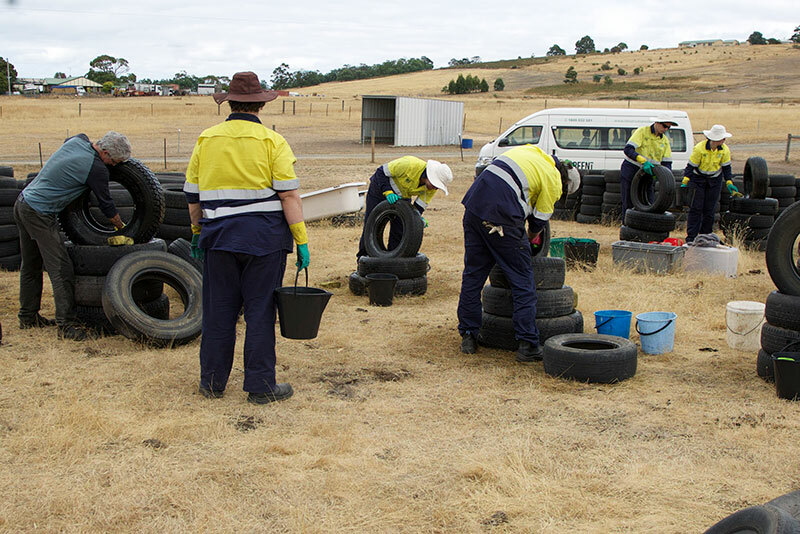 So every single tyre had to be cleaned inside, by hand, with water and brushes. 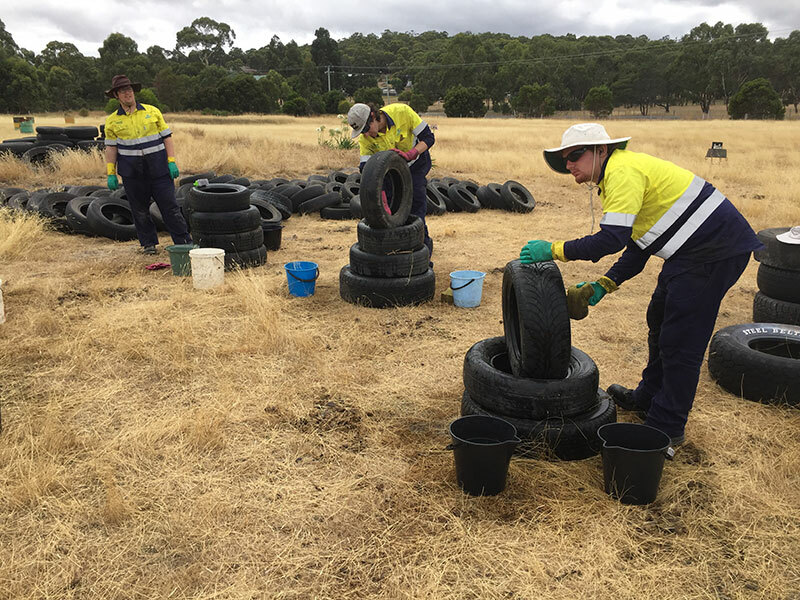 It was very difficult finding volunteers for this project and without the assistance of the local Green Army team it would not have been possible. We thank Green Army and the Australian Conservation Volunteers, who manages them. Projects such as this will suffer when the funding for this program stops, later this year. Also, a big thank you to the Community Service Order Coordinator and all the CSO people who made a great contribution. The property owner, Mrs Chris Green (who runs Chris Green Horse Rescue) is very glad to see the end of the tyres. 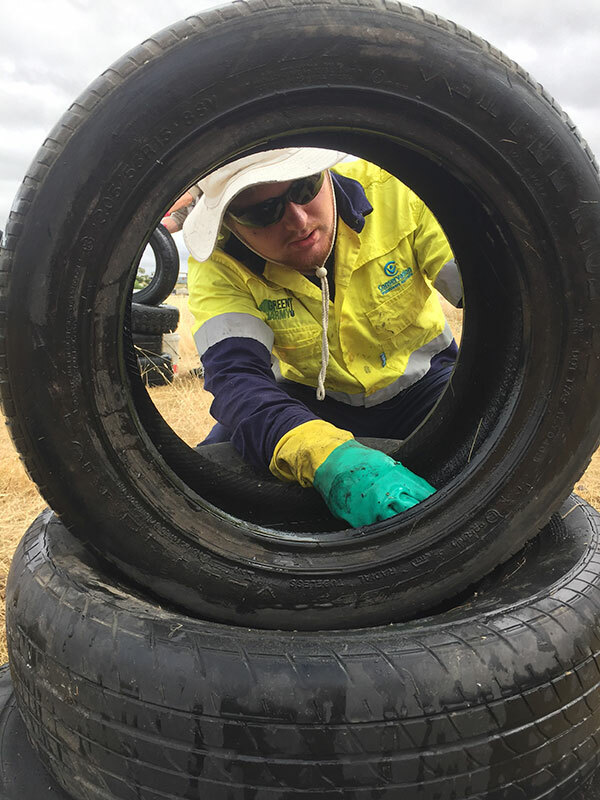 Chris wanted the tyres removed because they were a potential fire hazard for her and the horses and may also have harboured snakes. The project managed to generate valuable media publicity, highlighting this concern (see Mercury article). Following this cleanup I will start discussions with some local horse-riding clubs and other rescue centres regarding reducing the reliance on used tyres and to discuss further cleanup projects. If the 830 tyres at this property had burnt, it would have been roughly the equivalent of burning 7000 litres of diesel. If the fire service tried to extinguish such a fire, it would create a contaminated slurry that could flow 250m into China Creek and then into Pittwater Lagoon.